On Mother’s Day, Don’t forget Grandma! 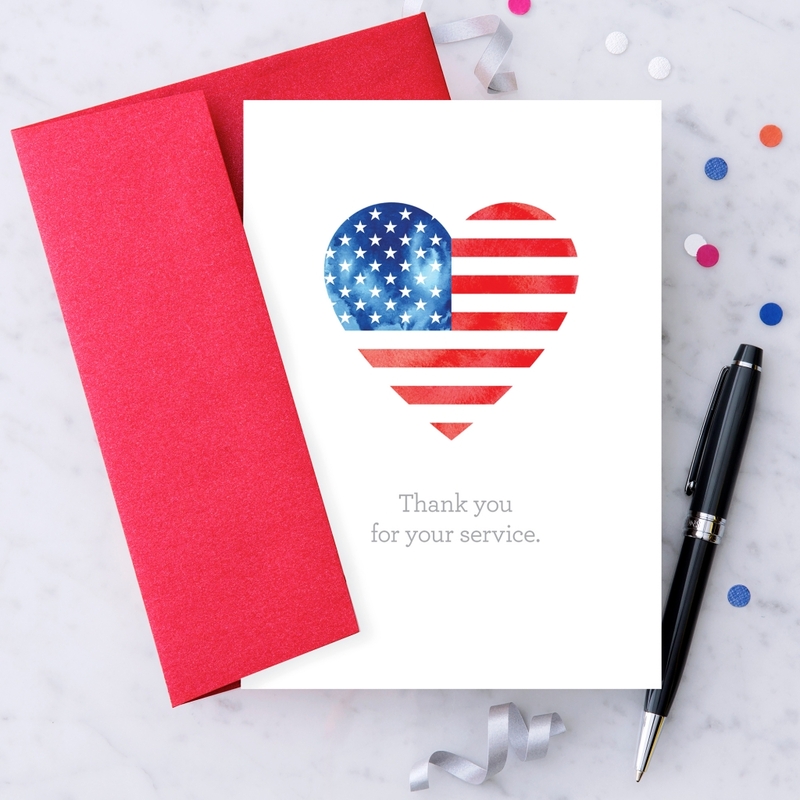 Design With Heart created our latest card to serve as a thank you for our brave military service members – for everything they have done and sacrificed for the freedoms we often take for granted. Thank you! Order Design With Heart products right from our website or visit one of the over 225 stores now carrying Design With Heart products. Design With Heart is proudly a Better Business Bureau accredited company. We are equally as proud of our A+ rating. Graduation. New Baby. New Home. New Boyfriend. 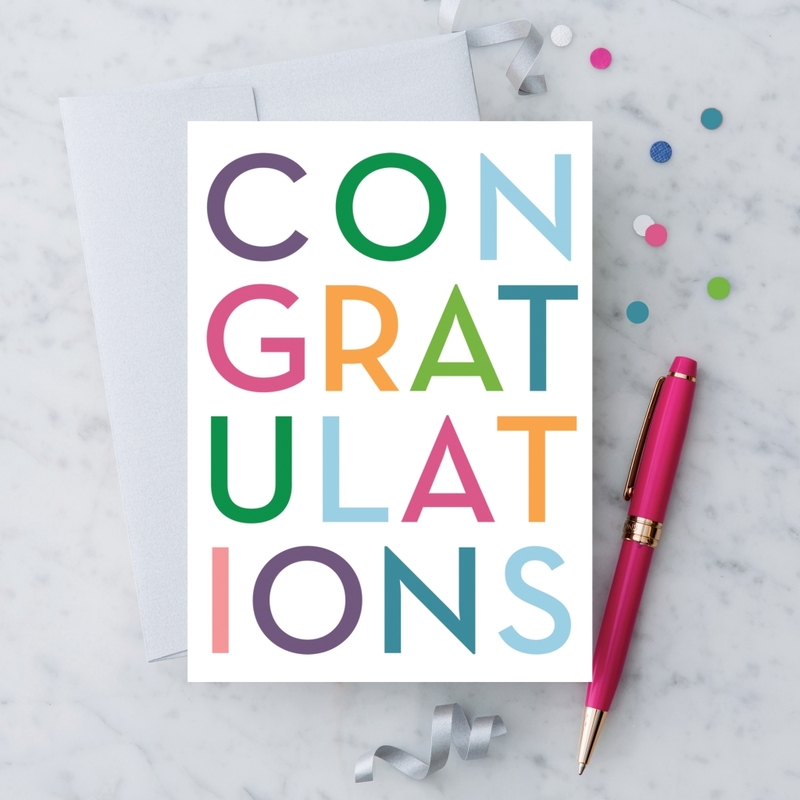 You’ll find lots of uses for our versatile Congratulations greeting card. Keep a few on hand to let ’em know you think they’re the best. Sure, there is a Grandparents Day for you to celebrate your grandmother, but Mother’s day is another opportunity to express your sincere feelings to her. 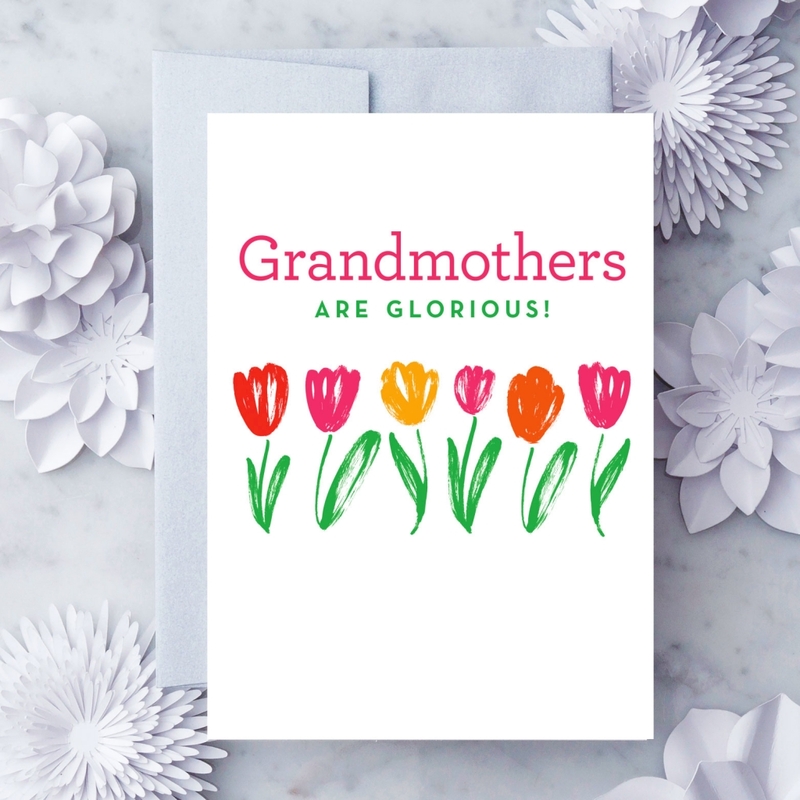 Honor you grandmother on Mother’s Day with a Design With Heart greeting card that reminds her how much she is loved. After all, Grandmothers ARE glorious! 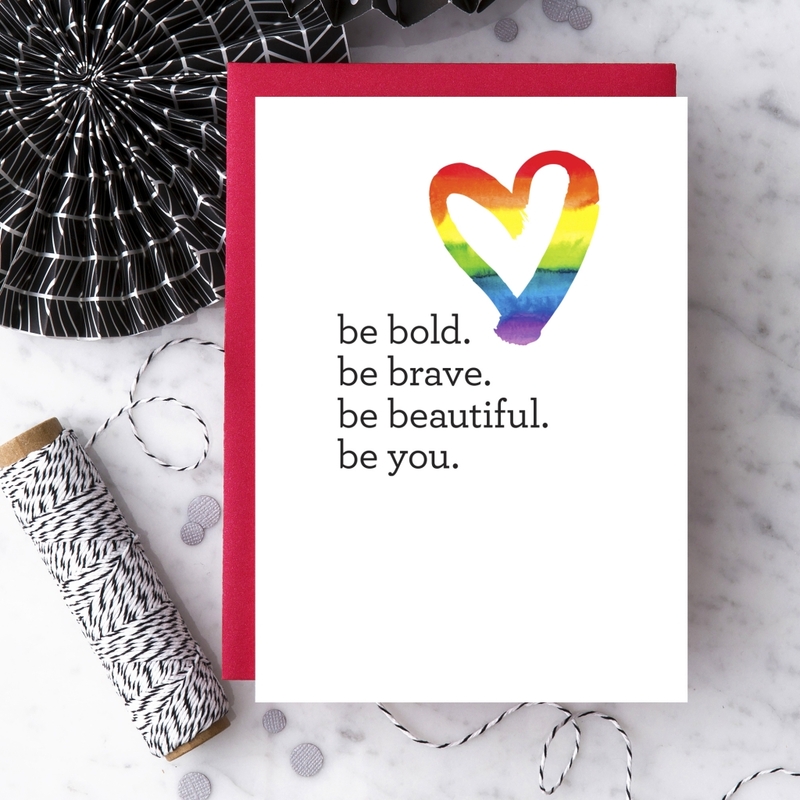 It’s an honor for Design With Heart to share a card that is both encouraging and also celebrates diversity and difference. Your support of an LGBT person can make a real difference in way they see themselves and the way they see the world. We invite you to take a look at our full product line of inclusive products. 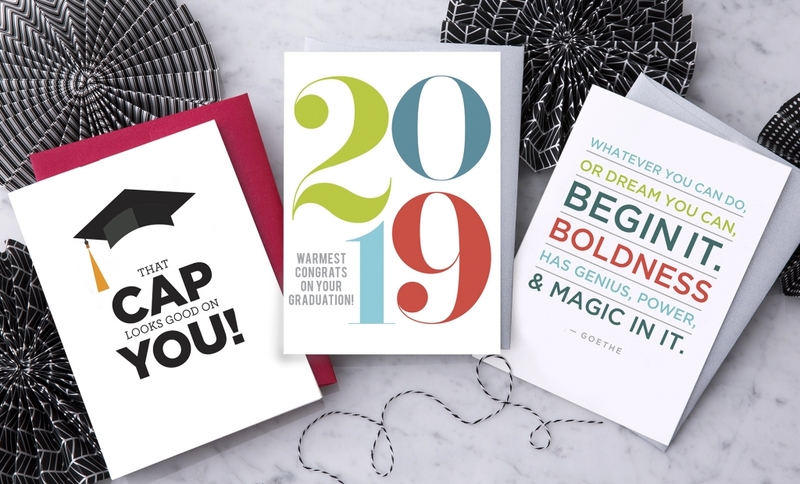 Congratulate new graduates in style with our empowering and inspiring new Graduation Cards. Printed on premium paper with silver ink. Includes shimmered envelope. Need these personalized? Email us at hello@designwithheart.com for a custom orders.